The Massachusetts Government Act (citation 14 Geo. III c. 45) was passed by the Parliament of Great Britain and became a law on May 20, 1774. The act is one of the Intolerable Acts or the Repressive Acts, or the Coercive Acts, designed to suppress dissent and restore order in the Province of Massachusetts Bay. 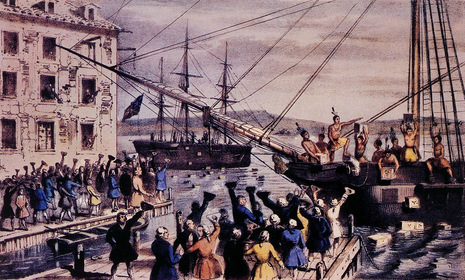 In the wake of the Boston Tea Party, Parliament launched a legislative offensive against Massachusetts to control its errant behavior. British officials realized part of their inability to control the colony was rooted in the highly independent nature of local government there. The Massachusetts Government Act abrogated the colony's charter and provided for a greater amount of royal control. Massachusetts had been unique among the colonies in its ability to elect members of its executive council. This act took away that right and instead gave the king sole power to appoint and dismiss the council. Additionally, many civil offices that had previously been chosen by election were now to be appointed by the royal governor. Town meetings were forbidden without consent of the governor, except for one regularly scheduled annual meeting. 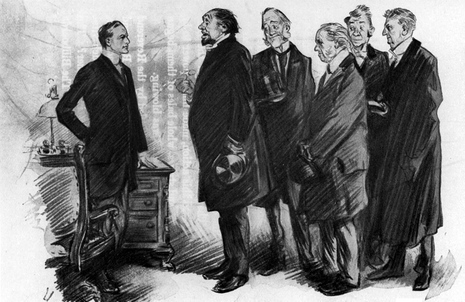 As Lord North explained to Parliament, the purpose of the act was "to take the executive power from the hands of the democratic part of government". Patriot leaders in Massachusetts responded to the act by creating the Massachusetts Provincial Congress in October 1774, which acted as an independent government in the early stages of the American Revolution. When Massachusetts was first chartered, a council of inhabitants was formed, the 28 members of which were to be chosen annually by the people of the colony. This bit of democratic representation was unique among the many colonies, and it was a right the people took seriously and enjoyed, given the level of patronage and corruption evident when such councilors were appointed. However, the level of independence the council eventually felt at liberty to exercise was not to the liking of the colonial power, especially as the people in America began to exert muscle on trade and political issue. The Massachusetts Government Act was passed, on May 20, 1774, to reign in this independence. The Act abolished the popularly elected council members, and replaced them with a 12 to 36 member council appointed by the King. The Act also forbade any meeting of the people of a town, unless at an annual meeting held in either March or May, unless specifically authorized by the governor. The Act also required constables in each town to make lists of all persons 21 to 70 years of age for the purpose of making jury lists, and that if the constable needed assistance in making this list, that tax records could be consulted. The lists were then sent to the county sheriff to make a jury pool. Additional lists of those who had served would be made, and no one would be required to serve more than once each three years. The Act further details special juries, when they can be called, and who the cost of the trial would fall upon. The Massachusetts Government Act is one of the Intolerable Acts that lead to dissent in the American colonies and to the creation of the Declaration of Rights and Grievances in 1774.